A historic attraction has made its debut at Silver Dollar City theme park in Branson, Mo. Officially opened on March 14, the Time Traveler is the world’s fastest, steepest and tallest complete-circus spinning roller coaster. No two ride experiences are alike on this coaster, with the major difference being the ride vehicle’s spin – which isn’t a teacup-ride fast spin, but rather a 360-degree controlled spin that gives guests high dimension, perspectives and sensations that can differ with every car and every ride. This custom-designed, custom-engineered ride will introduce a new generation of thrilling roller coasters to families after being in planning and construction for more than two years. Time Traveler will be Silver Dollar City’s biggest attraction ever, after an investment of $26 million. 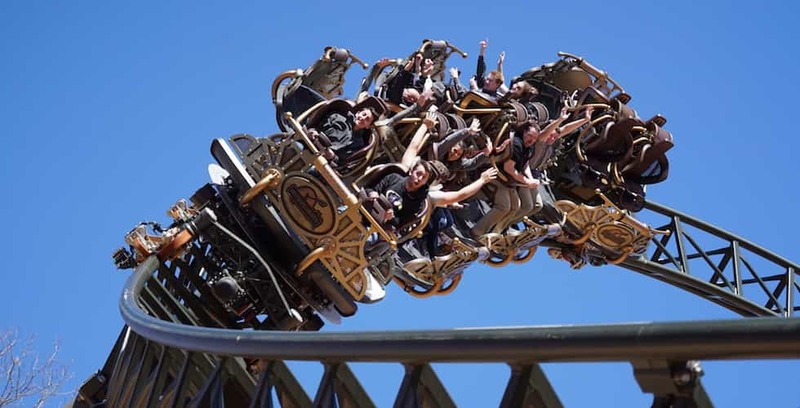 Silver Dollar City chose coaster manufacturer Mack Rides of Waldkirch, Germany for the coaster’s concept, design and development. “This coaster’s state-of-the-art controlled spin provides riders a unique thrill experience while still appealing to families,” said Brad Thomas, president of Silver Dollar City Attractions. Thomas said that Silver Dollar City partnered with Mack Rides because of their long-running reputation of delivering the best and most innovative rides in the industry. Time Traveler is now open for guests, and will be open with the park’s Spring Ride Days. For more information, visit SilverDollarCity.com.